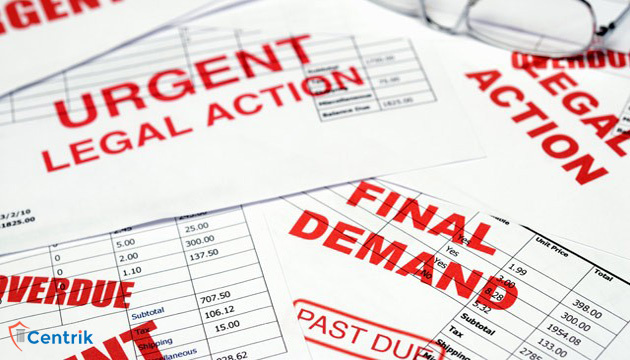 Debt Recovery Management- what to do if your debtor refuses to accept the notice? CentrikBlogsLegal AdvisoryDebt Recovery ManagementDebt Recovery Management- what to do if your debtor refuses to accept the notice? In finance the term recovery refers to collection of amount due. The normally recovery depends on the purpose, time and condition, business running process etc. Debt collection is the process of pursuing payments of debts owed by individuals or businesses. An organization that specializes in debt collection is known as a collection agency or debt collector or debt recovery management. India is expecting a GDP growth of 7.5% by the year 2020 as reported by World Bank. To maintain this record and reach to this level it is imperative to have debt free market for ease of doing business in Indian markets. In this article we have briefly discussed about the steps that can be initiated by corporate creditors against their debtors in case of default and when the debtor refuses to accept the notice and come to a settlement. Operational creditor may file an application for corporate insolvency before NCLT under section 9 of IBC, 2016. The Indian economy is taking a great leap gradually, it is now targeting to rise above 100th rank on Ease of Doing Business. Stressed assets are a big concern for this emerging economy as it can adversely impact its reputation in the world market. Vijay Mallya’s and Nirav Modi’s cases have already affected the market. To overcome these situations stringent policies need to be adopted besides which the corporate bodies also have to be vigilant about their debtors. It is essential to timely realise bad debts and smoothly run the business.